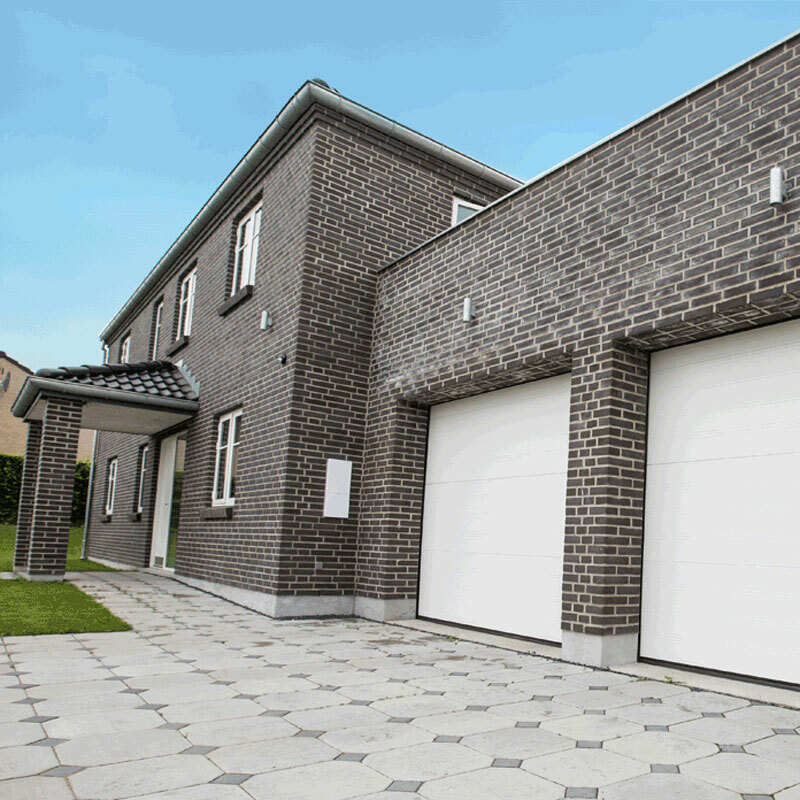 NASSAU offers 3 different types of garage doors, which have 3 different surface structures. The three garage door models are: NASSAU Classic, NASSAU Softline Granite and NASSAU Woodgrain. The three models are functionally the same, but each has its own unique expression and style. At the factory in Denmark, all our garage doors are made of aluminum, and at the same time you get one of the best insulated doors in the market. NASSAU Classic is a garage door with stucco structure and comes with 44 mm thick foam plates. NASSAU Woodgrain Garage Door manufactured with an external wooden appearance for the natural look of your garage. NASSAU Softline Granite Garage Door is manufactured in a saddle / granite surface that gives an exclusive look. Choose the size that suits you and your house. We manufacture your garage door according to your individual goals, desires and needs. At the same time, you have the opportunity to customize it with vision or panoramic windows. With a NASSAU garage door, you can simplify everyday life by simply pressing the remote control, which is always supplied with an electric remote and remote control. In our online store you can easily and easily design your own unique garage door that suits your house.